Daniel Walker Howe is Rhodes Professor of American History Emeritus at Oxford University and Professor of History Emeritus at the University of California, Los Angeles. 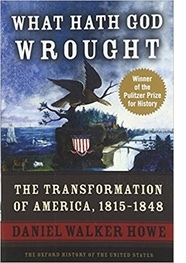 He won the Pulitzer Prize for What Hath God Wrought: The Transformation of America, 1815-1848. 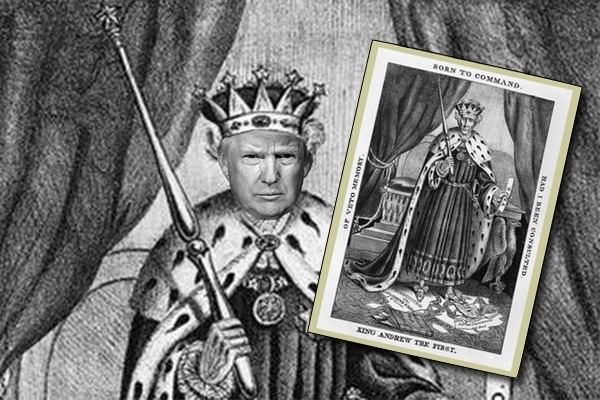 Donald Trump avows his admiration for Andrew Jackson and seeks to identify with him. He displays a portrait of Jackson in the Oval Office, visited his estate at Nashville (The Hermitage) to observe Jackson’s birthday, and criticized Obama’s decision to remove Jackson’s picture from the twenty-dollar bill. President Trump has never enumerated the aspects of Andrew Jackson that particularly appeal to him, but it is not difficult for a historically-minded observer to see what the seventh President has to offer our current one. Jackson was a strong nationalist, as Trump aspires to become, a commanding personality, such as Trump imagines himself, and did indeed rally a nineteenth-century version of the provincial American working class, which Trump has made his own constituency. In Jackson’s case this meant small farmers; in Trump’s, white blue collar workers. Jackson’s nationalism expressed itself in denunciations of foreign countries and could be directed against Mexico, making it particularly suitable for Trump. There are, nevertheless, significant differences between these two Presidents, as informed observers have pointed out. An obvious one is that Jackson was born poor and Trump rich. Another that has shown up already is Jackson’s greater experience as a political decision-maker. Even though considered an outsider to presidential politics, Jackson had pre-presidential experience as a military commander, territorial governor, member of Congress, and (even) justice of the Tennessee State Supreme Court. Trump’s more restricted experience as a business leader does not yet seem to translate effectively into running the White House and managing legislation. A significant difference between the two Presidents has yet to receive public notice. Trump has been enjoying support from Evangelical Protestants. Jackson did not. Evangelicals mobilized against his Indian policy because they identified with tribal members who had converted to Christianity, and they recognized Removal as a betrayal. Denied political participation, the Native Americans depended on white sympathizers to help make their case. Christian missionaries to tribal communities proved courageous leaders in the unsuccessful fight against Indian Removal. In sum, President Trump has correctly identified a precursor with whom he shares a lot in common. But what he and Andrew Jackson have in common is not always to the credit of either.